Last night for the first time in 219 years the BATTLE OF THE NILE was "re enacted". 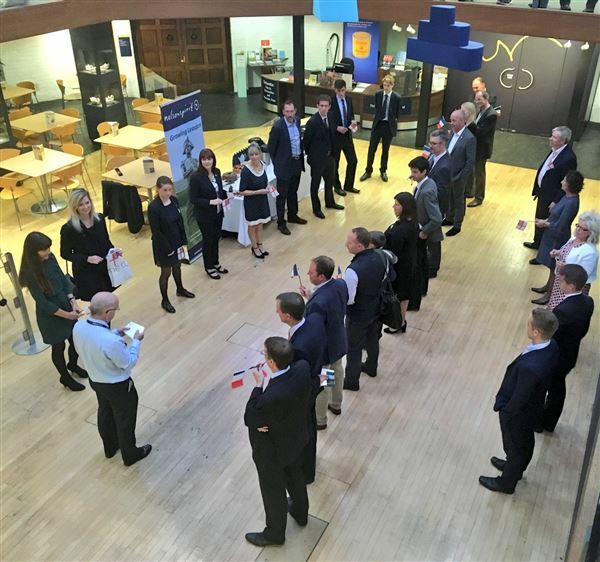 50 Business Leaders and Future Leaders gathered at Norwich Castle to hear about the 7 challenges that underpin Nelson's approach to leadership - "The Nelson Touch". After a short talk, sharing the latest research, modern leaders were challenged to predict the leadership decisions that Admiral Nelson took at the Nile. The evening was rounded off by a fabulous tour of the Nelson and Norfolk exhibition by the Norfolk Museums Service. A retiring collection was taken for the Nelsonspirit Future Leaders Fund - which provides grants to young people who want to grow as leaders while helping others in communities all over the world.